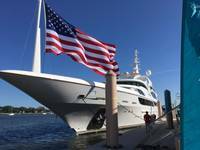 The first event will take place at Mercury’s famed Lake X test center and another demonstration to take place at the 2019 Miami International Boat Show. Integrating Raymarine DockSense assisted-docking is a natural “next step” for Mercury, which introduced Zeus joystick docking, an advanced joystick system for pod drives, in 2007. 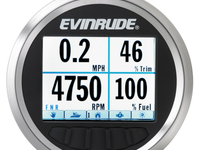 Axius, the first joystick system for sterndrive engines, followed a year later, and Mercury introduced Joystick Piloting for Outboards (JPO) in 2013. All three joystick systems deliver unparalleled control and performance, and all three were developed as precursors of autonomous vessel control. 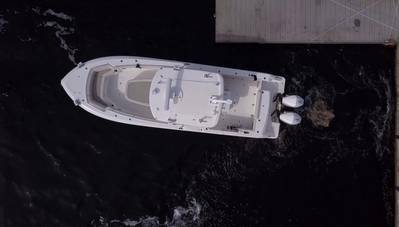 At the upcoming demonstrations at Lake X and the Miami Boat Show, the new Raymarine DockSense assisted-docking system will be featured on a 33-foot Boston Whaler Outrage rigged with twin Mercury Verado engines with JPO, and with Mercury’s advanced piloting assist system. Mercury’s new assisted-docking system is a core technology based on the latest aerospace control systems and autonomous-car Artificial Intelligence. Mercury’s powerful autonomous system will support a wide variety of future uses for assisted and semi-autonomous functionality, as it can be integrated with sensors like vision systems and lidar. 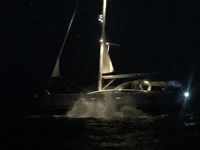 This demonstrator provides an example as how Mercury’s technology is both high-performing and adaptable to partner systems, like Raymarine DockSense to can make boating easier.